Are you ready to Awaken Appetites Unknown this weekend? 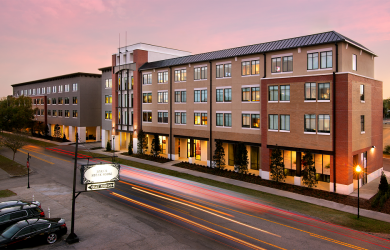 We have plenty to whet your appetite with everything we have going on at the Epicurean Hotel this weekend and beyond. Up for a cruise around town? Wheel on over to Hyde Park Village by bike and get all your holiday shopping done. That’s right, thanks to Hyde Park Village, we’ve expanded our fleet of custom cruisers to include ultra-cool Electra bikes! Check out the SoHo neighborhood map here and cruise through all your holiday shopping. Don’t miss the Fresh Market this weekend and a visit from the jolly old man himself — Santa Claus. You’ll fall in love with rooftop views on EDGE, which is now open 7 days a week! 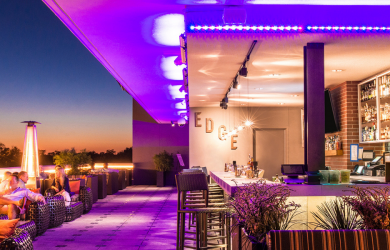 Enjoy the cooler evening air all weekend long at Epicurean Hotel’s rooftop bar and social drinkery that’s unlike any other in Tampa. 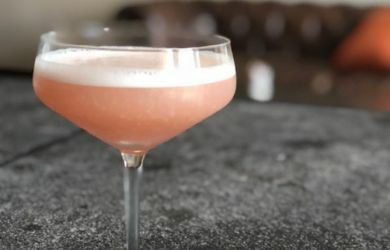 Kick back, relax and sip on uniquely hand-crafted cocktails and artisanal spirits on the EDGE of your expectations. 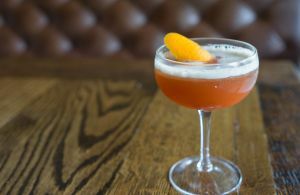 Stop in at the Élevage Bar, and enjoy four of the happiest hours in SoHo any day of the week! Featuring $3 beers, $5 cocktails, $5 wines by the glass, and $5 appetizers. We keep the experience fresh and exciting by weekly curating the menu and selections at Chef Chad Johnson’s culinary discretion. Just remember: the menu may change, but the prices will stay the same. 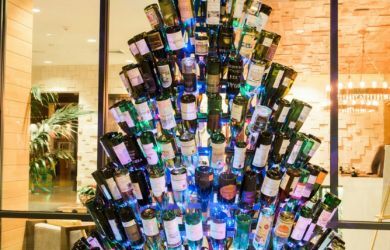 Isn’t it time you elevated your Happy Hour expectations this holiday season? Spa Evangeline is thrilled to introduce Elemis skincare line, a luxury skincare and spa brand that delivers clinically trialed therapies and products for face and body. The experience is exceptional, the results are real. Stay tuned for Elemis specials this month. Our fourth featured artist, Max Kauffman, brings his eclectic art to the Epicurean Hotel’s Library Lounge gallery. His show titled “When The Current Dictates” is inspired by anthropology, architecture and the magic of nature — evoking the everyday struggles of humanity. Interested in viewing or purchasing any of his work outside our gallery? Visit www.kauffmanartistry.com. 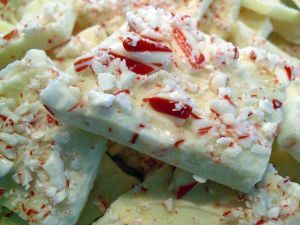 This special class will feature a hands-on lesson making peppermint bark. You’ll also learn to make the iconic Christmas classic – gingerbread men! Classes fly faster than Santa’s reindeer, so register today online to confirm your spot here.